From dignitaries, native dancers on the show floor, dinners for ten to 200, we have done it all. We can oversee three day events at world renown resorts – we have been to the Bahamas, Beaver Creek, and Scottsdale to name a few. We have moved client groups from McCormick Place onto Lake Michigan for a sunset cruise. Everything is possible! Shop at the office, shop from home on the weekends, shop from the show floor at our online store, Displays and Exhibits. This is an exceptional resource, for the budget-minded client, for basic Trade Show accessories that can move to you quickly. Trade show logistics can be a nightmare unless you are completely versed in the wherefores and how-to of freight movement in and out of show floors. When do you go to the Advanced Warehouse or is this the time you go direct to the show venue? Freight and storage are second nature to our coordinators. Do You Need A Model, A Spokesperson, A Receptionist, More Sales People in Your Exhibit? We Have You Covered. Absolute Exhibits offers personnel for exhibitions and events that provide an authentic background for your company, products and services. We have multi-lingual, tasteful hostesses and interpreters from American and multi-cultural backgrounds. Our workers can act as spokes models, product specialists, servers, receptionists, and translators. How do you create Corporate Video to coordinate with your company branding on the show floor? Video is an essential element of your branding program to challenge your competition and stay current. The crowning achievement of a terrific trade show experience is what you present on your screen or video wall. Ninety percent of all our design requests include a source to display a corporate video. What are you going to show on the screen, what will grab attention, what will have attendees stop in their tracks? We have your resource – polished, professional, and budget-conscious. This is not your parent’s video. We produce fresh, engaging, and professional corporate video that people WANT to watch. This is corporate video that is best described as ‘cinematic,’ and ‘dynamic.’ From concept to creation we will deliver unique, impactful, branded video content. View this video – we have even made airplane hoses an exciting subject matter! Absolute Exhibits is ideally positioned to execute your next corporate event. As a trade show exhibit company, the quick setup of a temporary environment is second nature to us. Recent projects include Intel and foreign companies coming to the USA including Aegis at venues ranging from St. John, the Bahamas, and Las Vegas. Logistics and Storage are more than additional services. All exhibits go direct to the show floor, they do not get offloaded and reloaded as common carriers seem to do. We handle all transportation of your exhibit to the show and back to one of our warehouses. 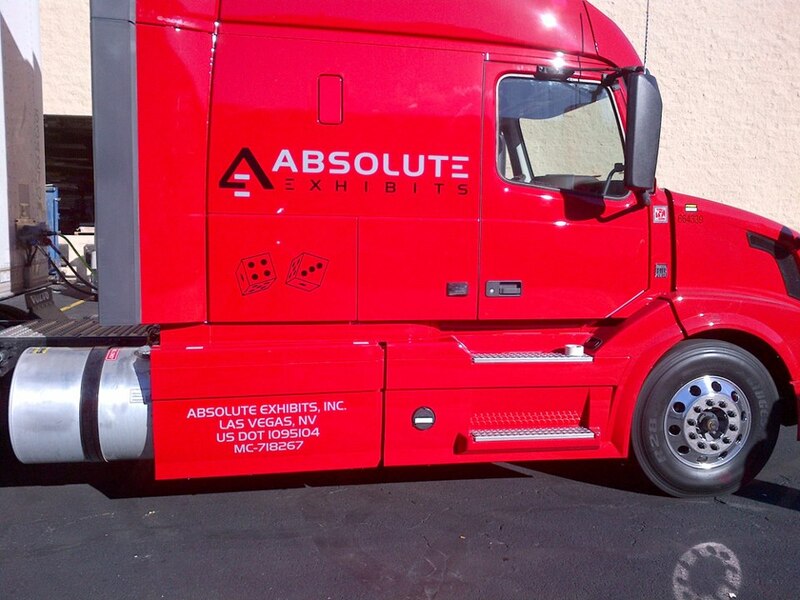 We own a fleet of trucks and provide the best prevailing rates you will find with no waiting charges. We have storage in three warehouses in Florida, Nevada, and California with competitive rates and the ability to handle all maintenance and refurbishment for purchased exhibits. We are here to make your life easier.